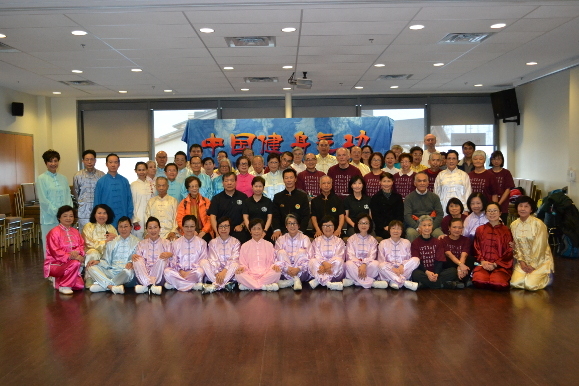 Canadian Chinese Health Qigong Organization was established on December 16, 2009. It is registered with City of Toronto in Canada as a not for profit organization serving the Greater Toronto Area in Canada. We encourage older adults to actively pursue their physical fitness goals. Health Qigong is especially suitable with its unique combination gentle rhythm with a plethora of movements that challenges the mind and body. Besides providing weekly classes, we are building a community for the sharing and discussion of traditional Chinese health maintenance concepts to help our members and others achieve their fitness goals. Edward Ho is the Chairman of the Canadian Chinese Health Qigong Organization. Mr. Ho retired with skin sensitivity, after the diagnosis and treatment of Chinese and Western medicine but it was not healed. He took medicine to ease his itchiness. By 2007, China sent a delegation of Health Qigong to Toronto to promote Health Qigong Yi Jin Jing. He likes to read martial arts novels, eager to learn this martial arts secret. Therefore, he attended the class and practiced half a year. His sensitive illness was healed eventually thus he was fascinated by the Health Qigong. In 2008, he led the Toronto delegation to participate in the Olympic Games under the Olympic Games Association in South Korea, winning the third place in Yi Jin Jing Group Competition and the fifth place in Ba Duan Jin Men Individual Competition. In 2009 he participated in the Third International Health Qigong Tournament & Exchange in Shanghai, China. He won the 2nd rank in men individual Ba Duan Jin and Liu Zi Jue. When he returned to Canada, he established the Canadian Chinese Health Qigong Organization, In Toronto, Canada. It is a non-profit-making group. 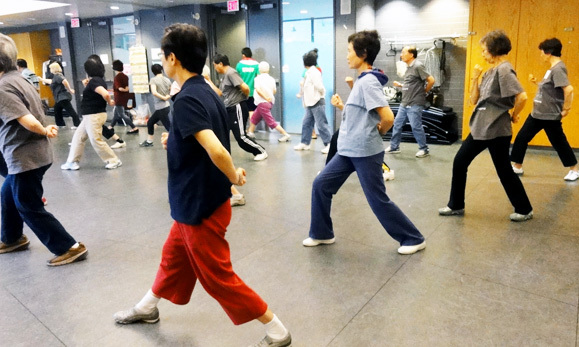 Its mission is to help foster an active lifestyle and to promote the traditional Chinese Culture for older adults in the Greater Toronto Area through physical fitness and community building. We believe physical fitness is accessible for everyone regardless of age or background so that people of different colors, different occupations and different ages may enter the cultural hall of Health Qigong and experience the unique charm of Health Qigong, through self-exercise, to improve their own health, to reach the longevity. Their motto is, “Active Living, Pep in Moving”, is an attitude. It’s inspired by friends they had made in the qigong community, whose unceasing motivation to get outside and sincere joy in social participation seem to increase with age. In that same spirit, they believe physical fitness is accessible for everyone regardless of age or background. Most importantly, they believe that one should have fun while pursuing it. Thus, he organizes weekly health qigong classes as both a time for physical exercise and a congenial place to meet friends in the community. Mr. Edward Ho has been awarded Volunteers are Gold Certificates in 2010, 2011 and 2016 and 2017 by the City of Toronto for his contribution to the community's harmony. In 2011, he led a team of Canadian Chinese Health Qigong Organization’s students to attend the 4th International Health Qigong Exchange Competition held by Chinese Health Qigong Association in Vancouver, obtaining the second place in group competition of Liu Zi Jue and the second place in the men individual competition of Ba Duan Jin and Liu Zi Jue. 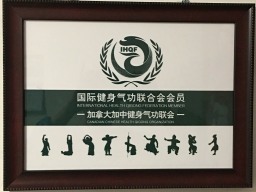 In 2013, he led a team of Canadian Chinese Health Qigong Organization’s students to participate in the Fifth International Health Qigong Tournament & Exchange held in New York, USA, obtaining the second place in the group competition of Liu Zi Jue and second place in the Wu Qin Xi and Liu Zi Jue in the men Individual Competition. In 2014, he hosted the first Toronto Health Qigong Tournament & Exchange. To encourage the seniors to participate in the competition, he promised that all the contestants will receive medals. There was a total of more than 120 participants, aged from 30 to 84, The senior students were very excited because they were arranged to march into the stadium in the way as the Olympic Games athletes. After the tournament, they took pictures with their grandchildren with medals hanging in front of their chests. They were very happy. This event made more people loved Health Qigong. In November 2016, he invited Master Niu Aijun to visit Toronto and held an intensive training on Health Qigong Wu Qin Xi. In the same token, Master Niu Aijun was the head judge of the first Toronto Duan Examination. 51 Health Qigong candidates passed the Duan examination, three passed in three Duan, three passed two Duan, and 45 passed one Duan. 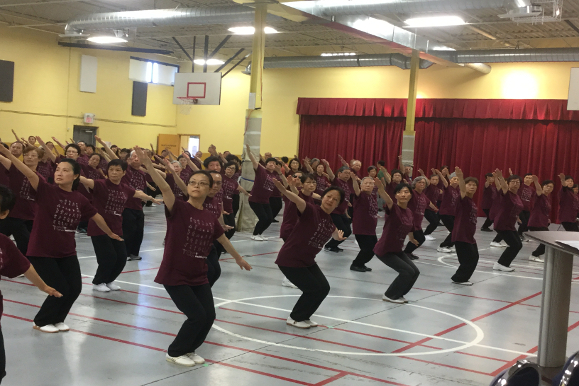 Canadian Chinese Health Qigong Organization responded to IHQF’s “World Health Qigong Day” with great enthusiasm and celebrated the event in Toronto by hosting group performance of Health Qigong Ba Duan Jin and Yi Jin Jing in the Centre for the Immigrants and Community Services. Scarborough Ward 41 Councillor Chin Lee, Markham Councillor Alan Ho, and representatives of Mon Sheong and Carefirst attended the opening ceremony. Over 180 students participated this group demonstration and 200 of their friends and family came to support and cheer. Followed by a fun fair featuring various booths. The most popular two are Question and Answer game and Photo Studio. Participants also enjoyed the Health Qigong Movie produced by Chinese Health Qigong Association. It was a successful event. All participants had a fun and an enjoyable day. And in the same year on December 3 CCHQO held the second Toronto Duan exam. Sixty-four candidates passed the examination. Two of them passed the Three Duan, 24 passed Two Duan. 38 of the candidates passes One Duan. During his teaching process, he found some of the students could not lift their hands. 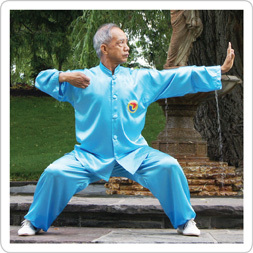 After practicing Health Qigong exercise, his students became more flexible, their hypertension have been lowered. He was very pleased seeing the improvement of his students’ health situation. His health theory was to have adequate sleep, with a balanced diet and appropriate exercise plus cheerful mood. This factor made him stay young at the age of 77 years old this year. He hopes that he can continue to promote Health Qigong. 2016 - invited Master Niu Aijun to visit Toronto and held an intensive training on Health Qigong Wu Qin Xi and 1st Toronto Duan Examination with Master Niu Aijun as the head judge. In 2014, Mr. Edward Ho was invited to collaborate with Renison University College, University of Waterloo. by Dr. Collin McMillan to do a “Mobile Qigong Wellness” project. Dr. Collin McMillan used Edward’s Ba Duan Jin DVD, reformatted it for the iPhone App interface. People can download the Ba Duan Jin App onto their iPhone and practice Ba Duan Jin in their office or at home or anywhere when they have time. Dr. Collin McMillan was invited to present this project “Qigong Exercise and Mood App Experienced and Used by Older Adults Living in the Community”. This research was selected as the keynote speech at the 3rd International Scientific Symposium in September 2017. It was recognized by all the attendances of the 3rd Scientific Symposium. According to the statistics, more than 9000 viewers have browsed the Ba Duan Jin App which helps to further promote the benefits of Health Qigong. On June 18th, 2016, our Organization was invited by University of Waterloo to participate at “East meets West Healthy Aging” Event. CCHQO was one of 24 booths. Half of the booths were Western Physicians and the other half represented Traditional Chinese Medicine. Our booth was always surrounded by participants. We handed out promotional flyers of the 9 forms of Health Qigong. We explained how Health Qigong could slow down the aging process to visitors who were interested to try Health Qigong. Mr. Edward Ho and his students demonstrated Health Qigong Yi Jin Jing at the center stage. After the demonstration, Edward was requested by the audiences to lead them to do Health Qigong Ba Duan Jin. It was a very successful event to promote Health Qigong out of Toronto City. Last one：Tai Chi Fitness Australia Next article：No la!